– Good Vehicle Operator Licensing Guide for Operators, GV74. Revised Dec 2011. Persons will be considered ‘professionally competent’ by passing the examination for the CPC (Certificate of Professional Competence) for Transport Managers (Road Haulage) accredited by an approved awarding organisation. What is the importance of Management CPC? As an operator, you must ensure that an appointed Transport Manager is fully qualified and up-to-date with their training. Similarly, if you have involvement with or responsibility for the management of the transport operations, passing this course will give you the knowledge to enable you to ensure compliance with the Operator Licence undertakings, in a continuous and effective manner. 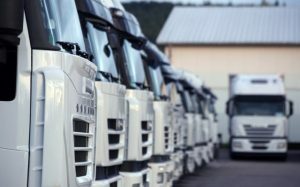 Our sister company, Sigma Studies Ltd has been delivering the OCR-accredited Management CPC in Road Haulage course for many years, at its approved training centre in Essex. The course is offered, either as an intensive two-week, classroom-based course, or alternatively, as a home study course, with the opportunity to access the workshop and exam days at Sigma’s training venue. Get in contact today with our team of specialists to book your Management Certificate of Professional Competence course! Call us now on 01375 887618 to discuss your requirements or use our online contact form and our team will be more than happy to help with any inquires that you may have.